Today was all about procrastinating... which meant rather than packing, I decided to play :-) I must admit playing with my stamps was so much more fun!!! I've been inspired by so many challenges I've been seeing in blog land lately that I knew I wanted to play. I came across a new challenge blog called the Fusion Card Challenge and they had a fantastic inspiration pic. So I decided to pair up the inspiration pic with the current Sweet Sunday Sketch Challenge. Shhhhh\!!! Don't tell anyone that I screwed up the sketch a bit, let's called it creative licence k? 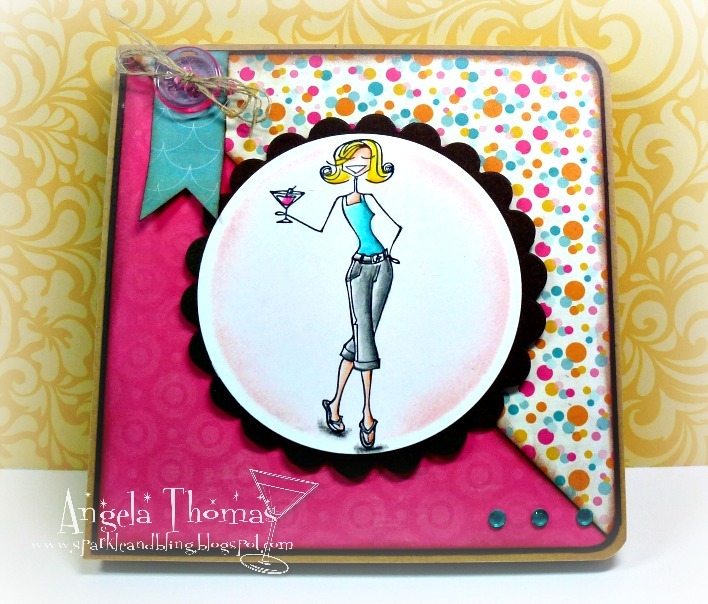 I loved the colors and decided to have some fun with this DP from Glitz Design. The image is called Cosmobella from Stamping Bella. I didn't realize it was out of stock when I colored it up. OOPS!!! I love making journals and this one was no exception. I thought it would be great to fill with fabulous summer drinks. creative license is good... it was a source of inspiration, right? FAB colours Angela - you're sketch secret is safe with me!!! This is so fun, I love the colors and fun image. Beautiful job. 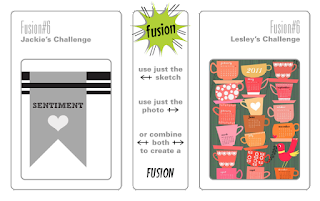 ;-) Thank you for joining our Fusion challenge this week. so super fun and colorful! So glad that you joined us at Fusion!